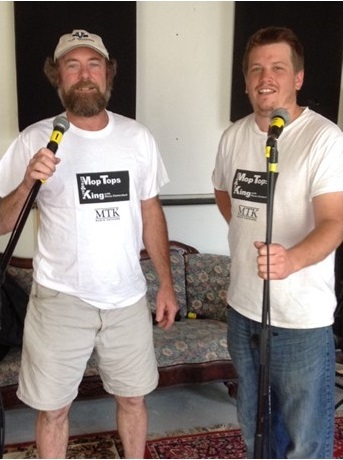 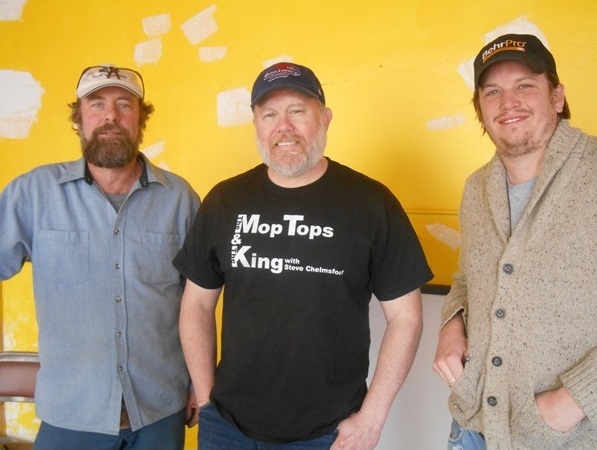 Selected Photos From "The Mop Tops & The King"
The Current "MTK Radio Network"
Dusty Fenders (Left) with Steve Chelmsford (Right) in Goldfield, NV 2010. 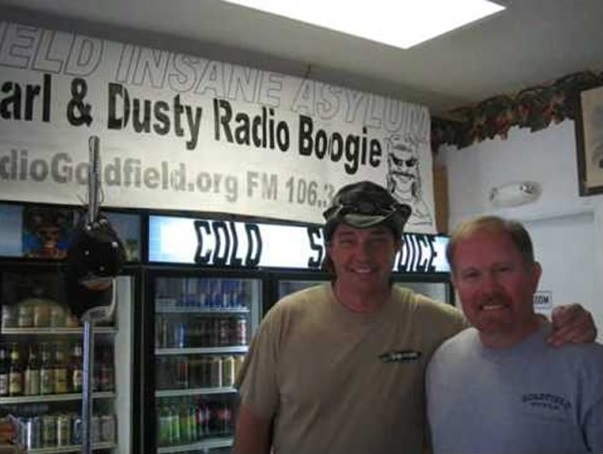 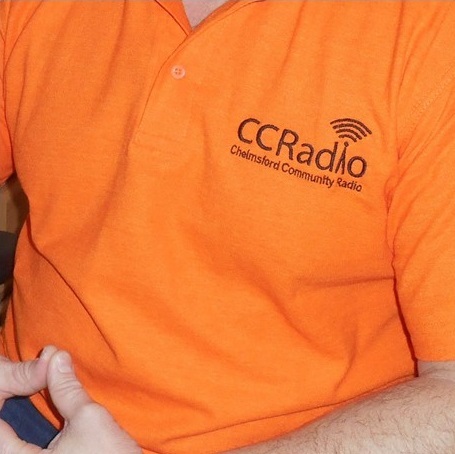 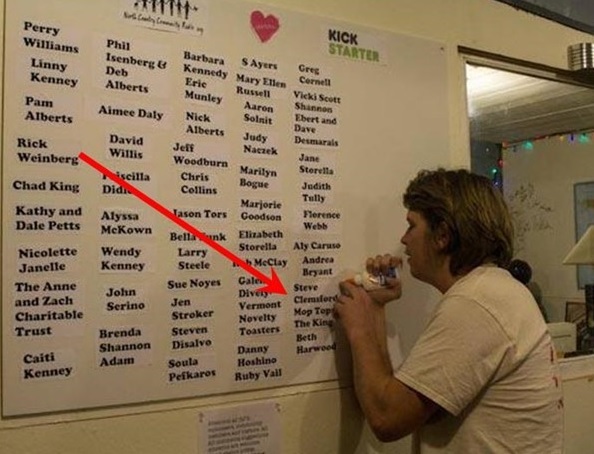 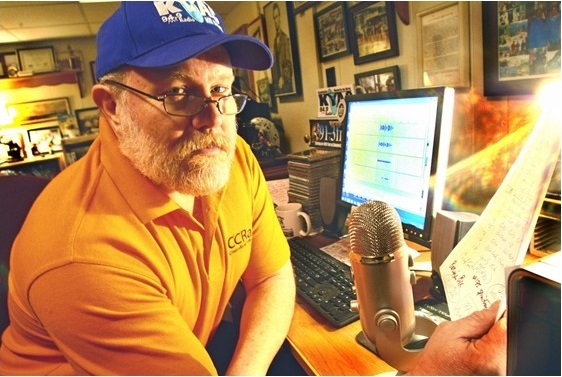 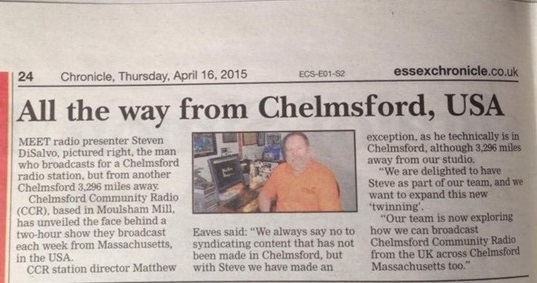 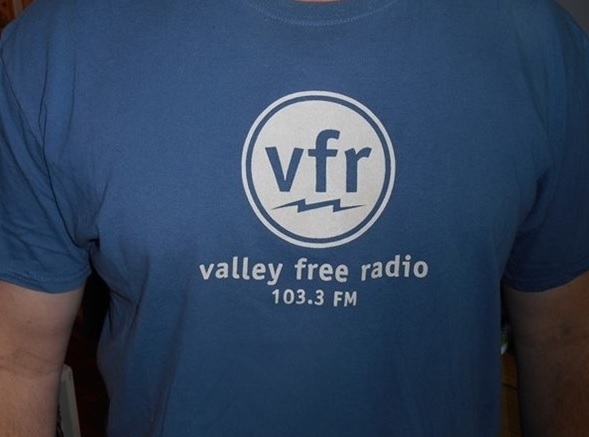 Dusty was the catalyst for SC's entry into Community Radio. 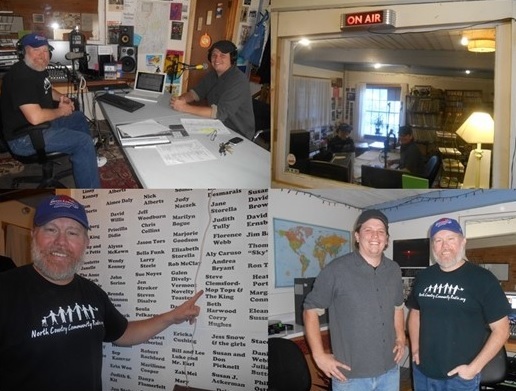 Thank You Dusty Fenders! 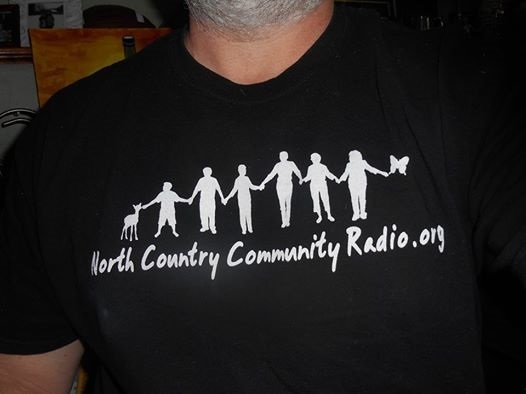 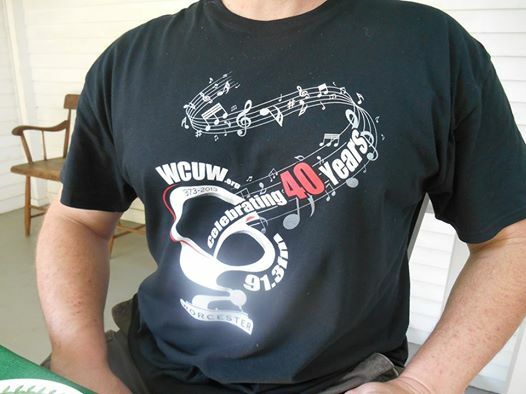 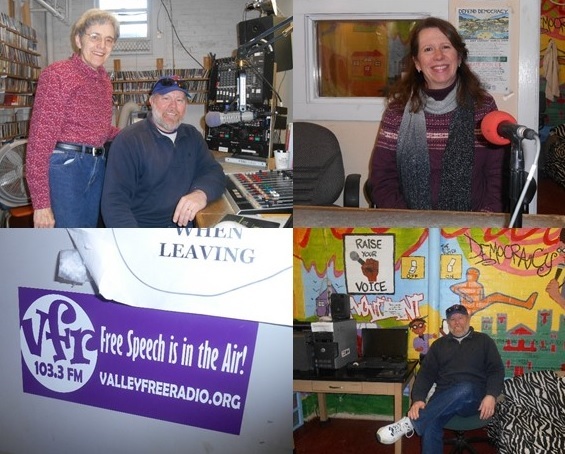 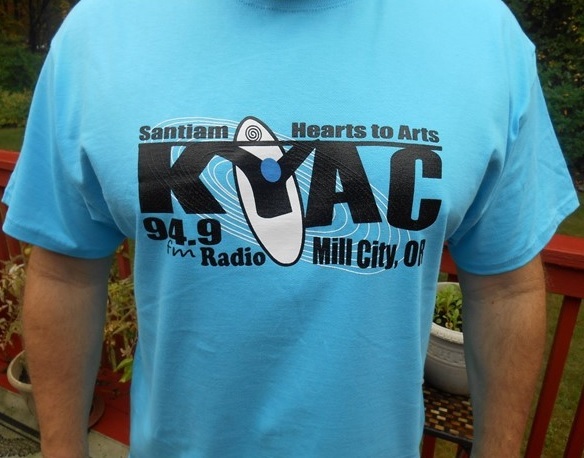 The Mop Tops & The King Radio Show is proud to support North Country Community Radio! 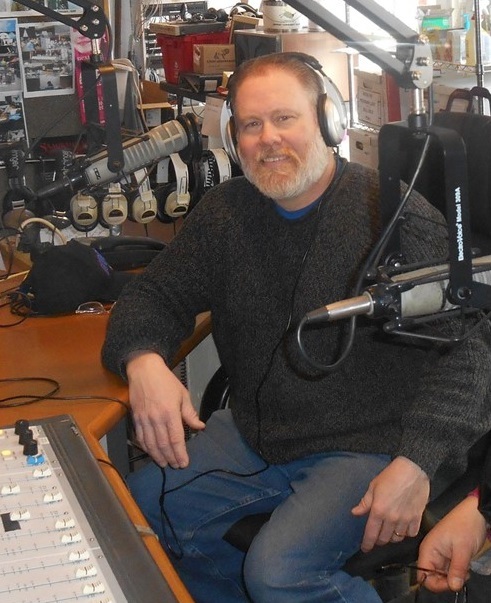 Nate Alberts does a fantastic job at NCCR! 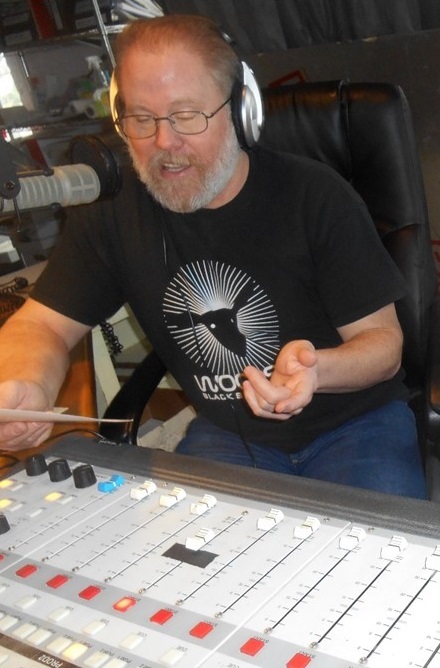 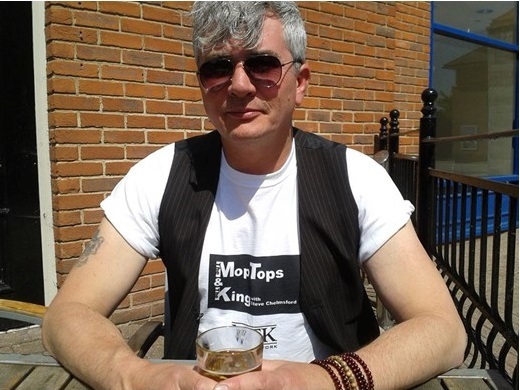 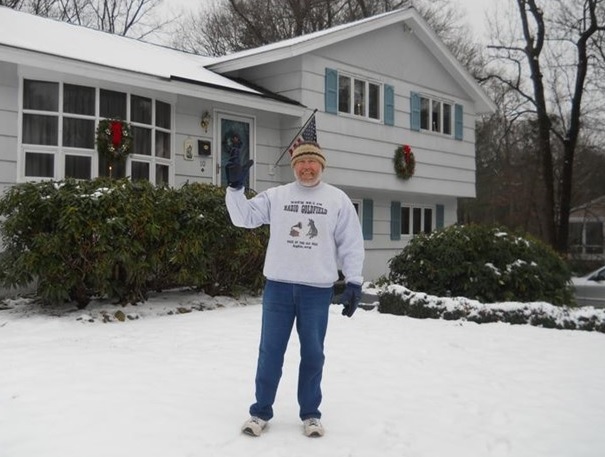 Steve Chelmsford wearing his new Radio Goldfield sweatshirt presented to him by Radio Goldfield for his 100th episode of The Mop Tops & The King - Dec 2013. 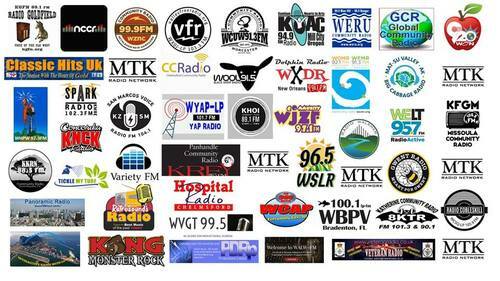 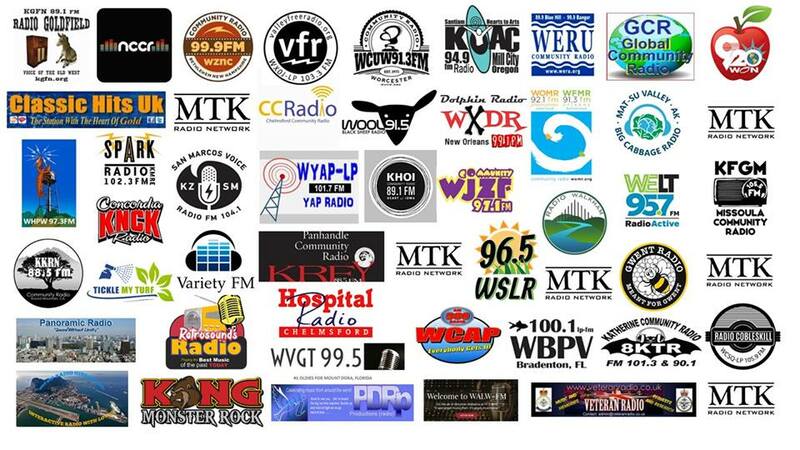 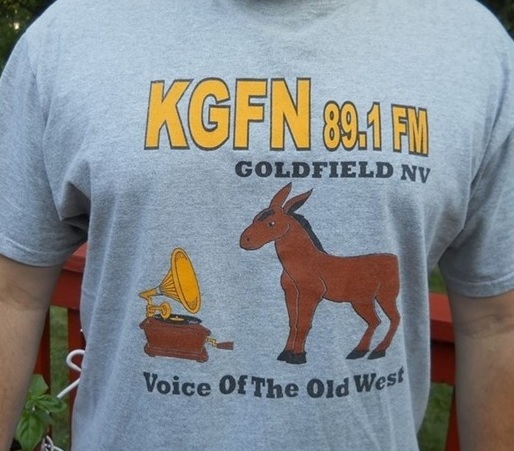 Radio Goldfield is the "Flagship" Station of The MTK Radio Network.